240 participants, one third of which were young people from Europe and the MENAT region, took part in the 6th International Mayors’ Conference NOW “Promoting Social Cohesion – Youth Participation in our Communities” from 27 – 29 January 2019 organised by Act.Now in cooperation with the City of Vienna. Bringing together Mayors and representatives of 24 municipalities from Greece, Italy, Portugal, Austria, Jordan, Slovenia, Turkey, Kosovo, Germany and Lebanon as well as policy-makers, educators, experts, representatives of GOs and NGOs, with a large international group of young people, the annual NOW Conference has once again proven to be a unique platform for exchange. It featured a variety of interactive sessions on topics such as improving education, promoting environmental protection, societal bridge-building and empowering vulnerable groups and young people. Participants actively contributed to identifying and addressing the needs of young people intending to change and develop their communities. 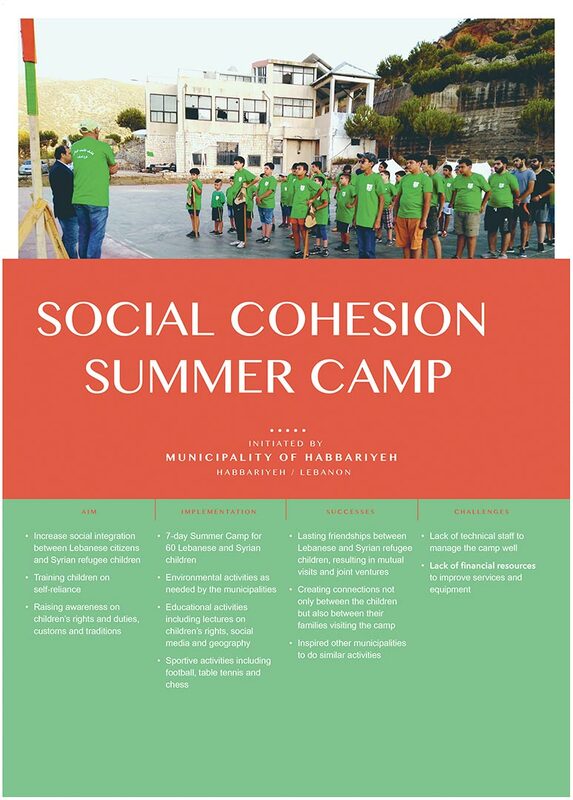 Municipal decision-makers looked for input to promote social cohesion through youth participation. Young people are largely underrepresented in political decision-making processes and approaches have to be found to effectively increase youth participation and open politics to input from young people. As City Councillor of Vienna Jürgen Czernohorszky explained: “Politics should always strive to reach all people and understand their concerns. This is particularly true for children and adolescents.” Youth participation generates innovative approaches and solutions. Municipal representatives frequently affirmed the need for and their will to integrate young people’s perspectives in shaping their communities. Conditions for youth participation however vary greatly between municipalities, regions and countries. Often there is little space for youth participation, voices of young people are not treated with seriousness and validity and initiatives tend to fade out or get blocked. This causes feelings of resignation and hinders active participation efforts from both decision-makers and young people. For decision-makers it is difficult to reach young people, particularly beyond the group of already active and privileged youth. Municipal representatives stated that they often rely on bottom-up initiatives, while young conference participants called for formal and structured participatory processes created from the top. Active participation requires skills and competences that are rarely promoted in schools. The lack of connection between what is learned during lessons and everyday democratic processes has been stated as one of the factors hampering active participation. Youth participation is possible, powerful and important, this has been the broad consensus at the 6th NOW Conference. To hear young people’s voices and empower them to shape their communities’, decision-makers need to have the political will to include and integrate youth. The political motivation has to be accompanied by long-term commitment from all actors involved because successful collaboration can only be based on mutual trust and confidence. Furthermore, decision-making procedures have to be designed to be open and welcoming towards external input. It is vital that participation is transparent and feedback loops are included, so that citizens can track what happened to their proposals and to ensure accountability. New technologies allow for a variety of participation methods and good practices such as online tools encouraging digital participation and inclusive youth councils. Young people have to be encouraged in having a say in their societies and empowered to raise their voices. Educational settings, school curricula and the relationships between students and teachers are essential to this endeavour. 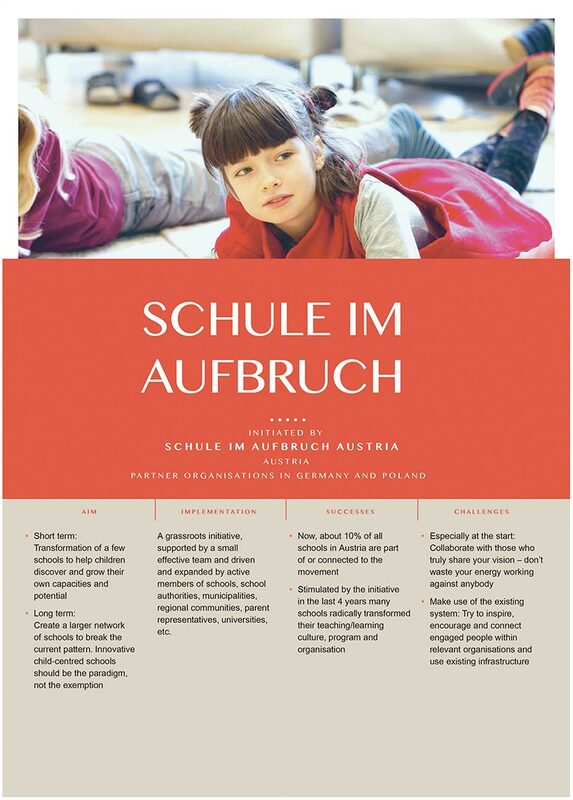 It is crucial to develop new approaches for school education, with a focus on fostering young people’s individuality and strengths, creativity and competences. The importance of civic education and the need for improving digital and political literacy was emphasised in the discussion. Schools have to become the place where youth is able to get inspired and motivated to become confident, empowered and able to participate. It is my pleasure that the 6th International Mayors’ Conference NOW “Promoting Social Cohesion – Youth Participation in Our Communities” is once again taking place under my patronage and I very much regret not being able to welcome you all in person. In today‘s world we are facing many challenges, some political, some economic and some environmental, just to name a few. Societies are getting more and more diverse, as are the needs of their members. We live in villages, towns and large cities. We differ in age, gender, political views, social status, in how we choose to live our professional and private lives and in our religious beliefs. What we all share is space and we must shape this common space to create a future worth living in for all. Social cohesion, therefore, happens on the communal level. Fostering social cohesion, caring equally for all residents, are key tasks of Mayors and regional politicians and it is their political obligation to shape their administrations accordingly. Children, youth and young adults are the owners of the future! They are the ones who will have to cope with the shortcomings of today’s political roadmaps and decisions. It is therefore essential that we make room for young people and hear their voices by allowing them to actively participate in decision making processes in all political, educational, economic, environmental and social matters concerning them. Change is part of our lives. We don’t yet know which challenges we will have to meet in the coming years. 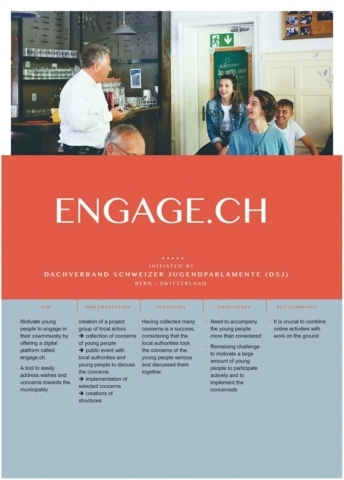 Politicians, GOs, NGOs, scientists and, actually, every citizen therefore must participate in the development of processes of co-operation and co-creation to cope with changes on a global, national, regional and local level and to create bold solutions to benefit everyone, but especially the young people of today. Finally: the challenges we face in our world and our societies have reached a level of complexity that just can‘t be solved by a hand full of politicians or even the most skilled experts working in isolation. We need a deep commitment to co-operation across all borders, all areas of expertise and all age groups. I am exceptionally pleased that the many young people from all over Europe and the MENAT region participating in this Conference will have the opportunity to meet and exchange experiences and ideas on an equal footing with regional politicians and administrators, educators, experts and NGO representatives. 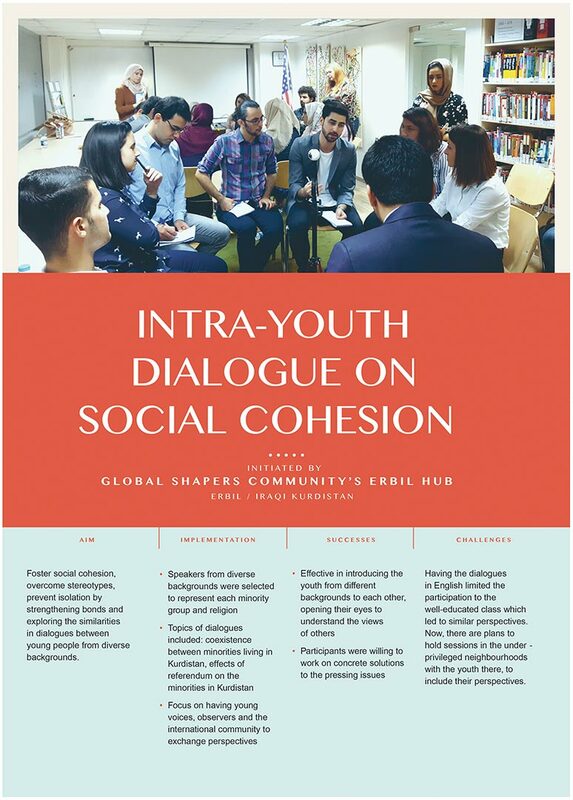 I invite you all to share your insights, to listen to and learn from each other and to develop innovative and bold solutions to promote social cohesion in your communities, schools and workplaces. From 27 to 29 January 2019 the 6th International Mayors‘ Conference NOW, focussing on strengthening social cohesion and youth participation, took place in Vienna. 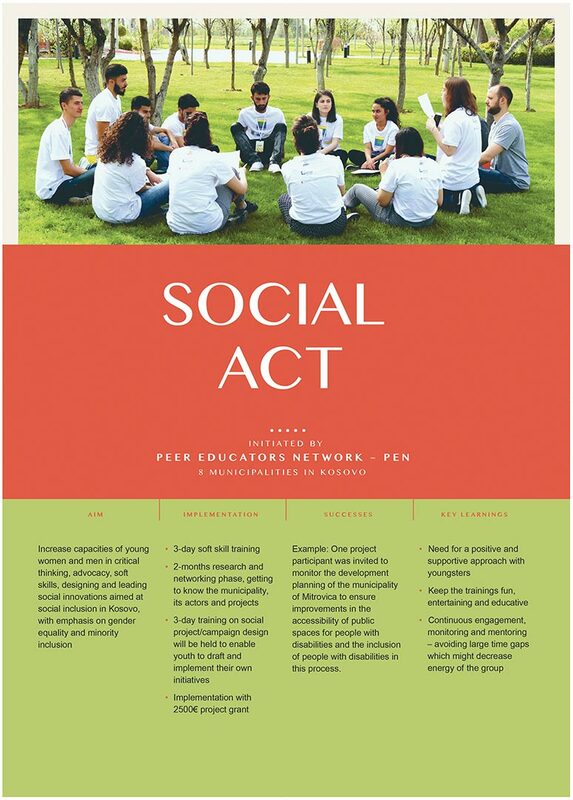 In order to find ways to secure the participation of young people in the political discourse and understand their concerns, Act.Now brought together 240 participants from 28 countries – about a third of them young men and women from Europe, the Balkans and the MENAT region, to talk with them and not about them. The young participants could hold open, honest and respectful dialogues with educational experts, Mayors and other decision-makers to shape the societies they are living in. Participants were given a platform to share their experiences from projects they realised in their respective communities and were able to initiate new collaborative project ideas based on the learnings of the two days of extensive discourse. Returning to our motto of the 1st International Mayors’ Conference NOW in January 2016, “Listen, Learn, Ask, Answer”: Act.Now will provide the space for dialogue – frank, open, uncensored, and on equal terms – between the Mayors and civil servants of the NOW Mayors’ Network, local, regional and international politicians, policy- and decision-makers, educators, experts, representatives of GOs and NGOs, and a large international group of young people from Europe and the MENAT region – around the main topics of participation and education. Young people are underrepresented in decision-making processes which affect them, although their engagement is crucial to democracy. Our aim is to co-create and develop bold ideas and projects, jointly lead by young people and municipal and educational institutions, to shape the societies they are going to live in. Growing dissatisfaction with and alienation from politics – leading to a noticeable rise of very conservative to right-wing movements – represent a challenge to the basis of our democracies: human rights, equality, freedom of choices, freedom of speech and the press, just to name a few. We intend to work towards “changing the narrative” and making it possible for young people to engage and remain engaged in the public sphere. Teenagers and young adults need access to physical spaces in their communities to support their personal, cultural and political development. 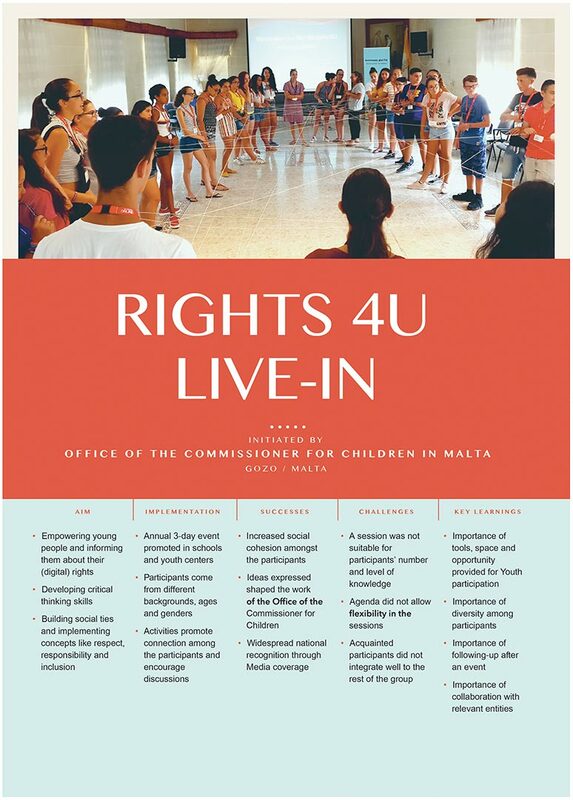 Marginalised young people as well as young migrants and refugees should be able to participate in decision-making processes and be recognised as key players, particularly in processes concerning their own rights, wellbeing and interests. We want to make you, your positive examples, leadership, best practices and expertise visible as inspirations and worthy of imitation or as impulses towards new creations. The 6th International Mayors’ Conference took place under the auspices of the Austrian Federal President, Dr. Alexander Van der Bellen, and was organised in cooperation with the City of Vienna, represented by Mag. Jürgen Czernohorszky, Executive City Councillor for Education, Integration, Youth and Personnel. As the name already suggests, this segment revolved around people and their stories. Stories that stand out, that are different, that inspired us. They are about overcoming obstacles, having an impact, having your voice heard, changing your community and maybe even changing the world for the better. As a child, Fahima moved to a women’s shelter in the Netherlands with her mother, where she witnessed that the needs of children who accompanied their parents were not taken into account individually. She decided to become active herself to improve their living conditions. The result was a ruling by Dutch Parliament that children must henceforth be treated as independent clients. She has been nominated for the Children’s Peace Prize and is a devoted advocate for youth participation because of her conviction, that youth needs to be involved in decision-making since policies made today will affect their lives in the future. Furthermore, engaging young people will create young adults who think for themselves, are solution-oriented and may become future leaders of society. Ali, born in Iran, came to Austria as a refugee when he was only 2 years old. He is living proof that a childhood dream can come true – and also make you very successful – as long as you don’t give up. He is founder of the job-and career orientation platform Whatchado, featuring a handbook of life-stories where everyone can share their story and career path. Ali was appointed EU Youth Ambassador in 2013 and works on raising awareness for the importance of a self-assured, optimistic younger generation believing in their own potential. Gari, Commissioner for Integration of the City of Stuttgart, talked about the value of diversity in communities and how everybody can and should contribute to shape their environment, regardless of their origin. In his opinion, it is crucial for municipalities to give their citizens a chance to be involved and to empower them. Administrations integrating refugees need to involve refugees in the development and implementation of these programmes in order to make them feel part of society. Social cohesion is based on your own achievements and your own contribution, not your origin. Ajete is one of the founders of an organisation in Pristina, Kosovo, called 17, that has succeeded in bringing together young people, Civil Society organisations and community members in a new and innovative way. By combining arts and culture, they created a space for youth participation and empowerment, because it is through arts that youth can express personal and political meaning at the same time. 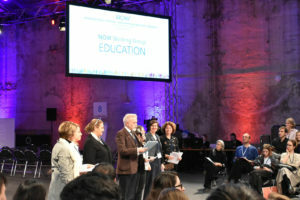 Bernhard, a passionate reformer of the school system, who has been working as teacher for children and educators, emphasised how crucial it is to shape new approaches for school education, since this is what will form our path towards the future. Today, many schools are a place where children are being turned into pupils who don’t get recognised as individuals. School needs to be a place where teachers foster children’s strengths and where youth is able to get inspired and discover. Umberto, the Mayor of Spilamberto, Italy, considered the possibility of losing the election when he ran for office. Against all odds, he won the election and is now working to shape his community for the better in the most dedicated way. He reminded us how important it is to pursue your dreams and most of all stick to your own values. Rui, a young change-maker from Portugal, managed to establish a national organisation representing all the school student’s unions, to make all the student’s voices heard and able to speak up for their rights- although City Hall, the National Youth Council and the Ministry of Education did not support his efforts at first and told him that it isn’t possible. Today, this organisation is one of the main stakeholders in the field of education in Portugal. Promising Practices were a central source of inspiration at the event. The projects showcased living examples improving social cohesion, youth participation and education in various communities in Europe and the MENAT region. The projects were presented to small groups of participants by project representatives at the very beginning of the conference. They remained visible and present for everyone during the entire conference in the form of posters. Centered on youth participation, the NOW 6 Conference focussed not only on inviting young participants but also on discussing topics of particular interest to young people. To determine these, Act.Now organised focus group discussions in preparation to the Conference. These were held in various countries such as Italy, Kosovo, Turkey, Lebanon and Austria, among secondary school and university students, Mayors and the experts of the NOW Working Groups in the fields of inclusive education, trauma surviving, exploitation and human trafficking, children‘s rights and gender equality. 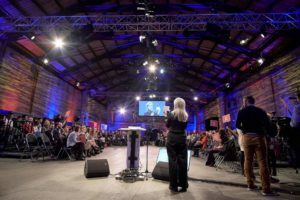 The outcomes were analysed to cluster the topics raised most often or regarding urgent concerns and then funnelled into discussion points for the World Café format at the Conference. During this segment, participants spontaneously chose which small group discussions they wanted to join and the World Café Session evolved into a vibrant exchange of ideas and visions between interested people and experts in their respective fields. Youth unemployment rates vary greatly between Southern and Northern European countries. This goes along with widely differing perspectives on youth unemployment in the respective regions. The need for increased vocational education and additional focus on practical and soft skills and competences were raised as important factors in creating job opportunities for young people. Public spaces have the potential to promote social cohesion by facilitating communal encounters. When transforming public spaces, people of all ages need to have dedicated public spaces. There is a lack of outdoor urban spaces suitable for 13 to 17-year olds, as they have outgrown playgrounds, which are for young children, and later on commercial spaces such as shopping malls are often used as meeting points in accessible public spaces. Public spaces are not equally attractive for men and women, due to overt cat-calling and sexism in some cultures. This can hinder equal and gender-balanced utilisation of public spaces and should be considered when developing open encounter areas. A topic of high interest, as already evidenced in the Focus Group discussions prior to the Conference, is the quest for finding ways and means to make communities greener and enhance the role of municipalities in solving environmental challenges. During the discussion it became obvious that local communities can be integrated and play an active and effective part in environmental efforts by their municipalities. Greening activities such as forestation, waste recycling, development of vertical gardens and related activities can solve local-scale environmental issues and promote social cohesion through working and making decisions together. 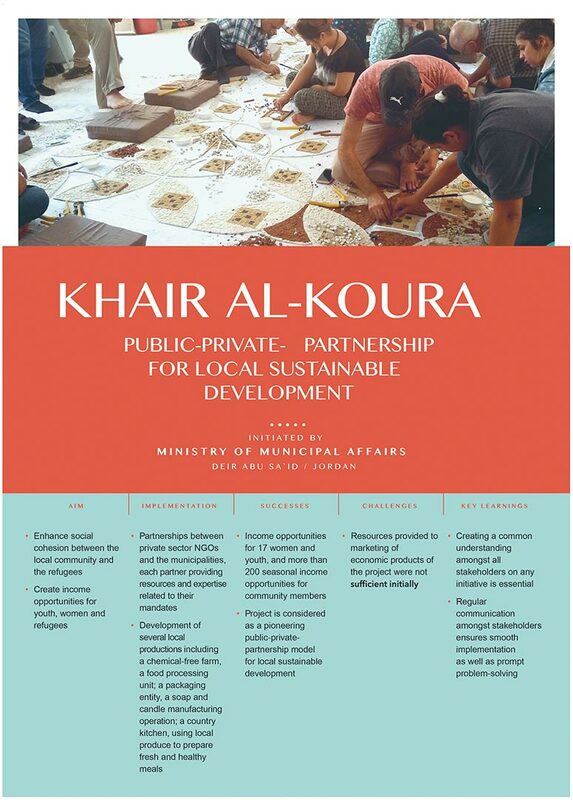 The most effective approaches are those tackling social, economic and ecological challenges together. Diversity as a chance and enrichment for societies as well as an essential ingredient of democracy was discussed vividly at this World Café session. One result was that interaction, dialogue and mutual interest are preconditions for encounters on an equal footing and social cohesion. Societies in which diversity is seen as an enrichment are more resilient democracies and benefit from more inclusive solutions. It is essential to overcome disregard towards diversity management; education and tools are necessary requirements. Communal events are a way to promote mutual encounters and foster social cohesion. They bring people together from all backgrounds and prove to be a universal tool to encourage encounters. 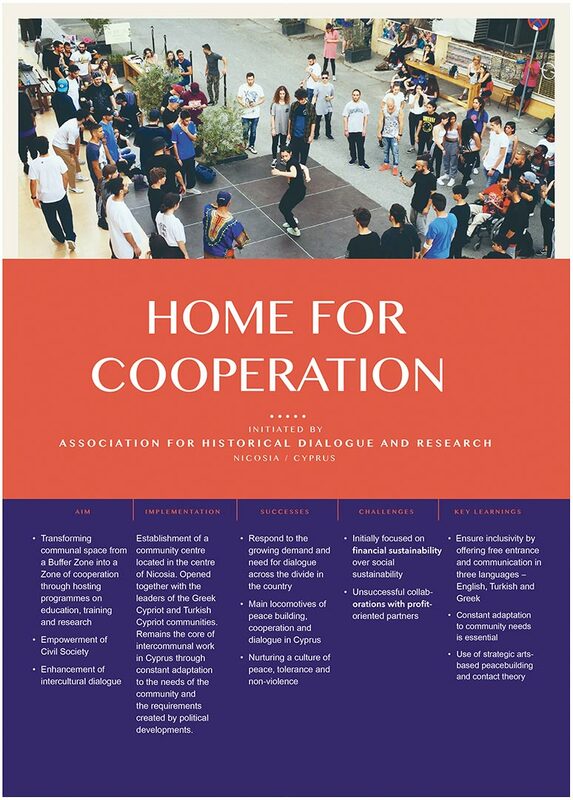 Events designed especially to promote encounter among differing groups need to be contextualised, create a welcoming atmosphere, allow for movement and leave space for fun activities such as games that require engagement with participants. Well-designed activities allow participants to change their perspectives and create a community among the attendees. Bringing society together was a highly frequented session where a variety of approaches were shared among the participants. Factors for social cohesion among divided groups in society were identified: the importance of equality of opportunities among members of society in areas such as education, work, housing and access to public services. 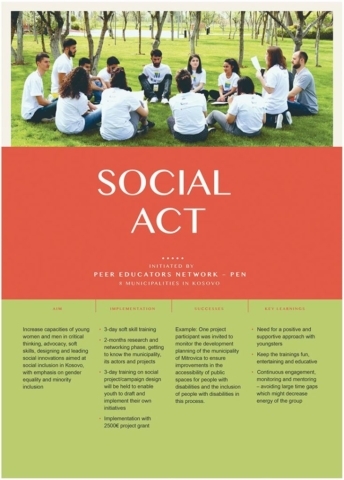 Also, shared or perceived shared experiences among societal groups promote social cohesion. The significance of education for critical thinking skills was pointed out. 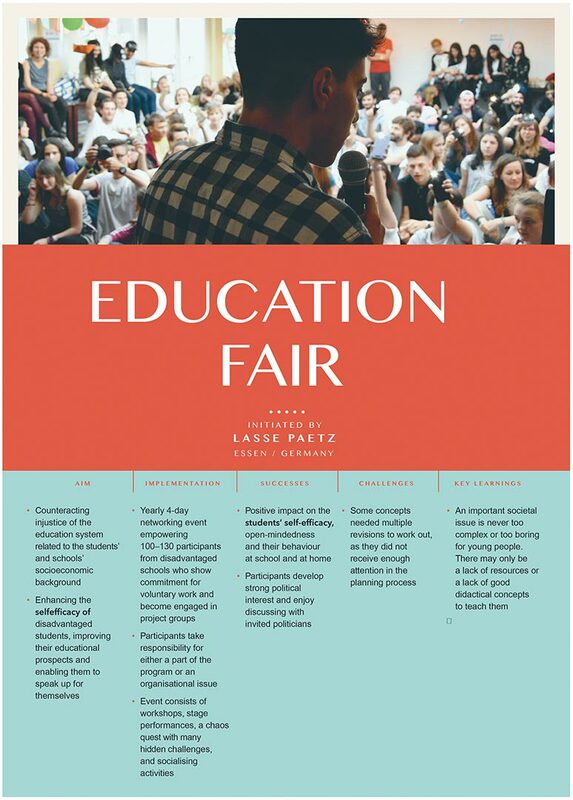 Education opens people’s minds to question commonly shared negative views on groups in society and promotes open discussions needed to build bridges among societal groups. 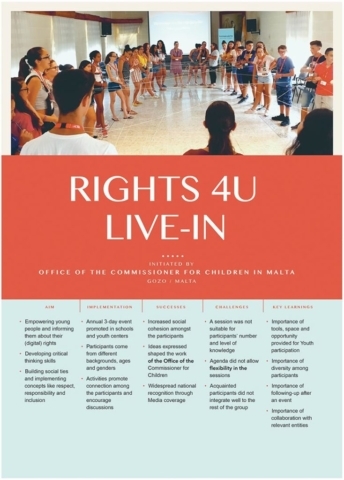 Mainstreaming values of Human Rights and democracy to children and young adults is an essential part of education stating that „if we fail to do that, we‘re going to lose them“. Civic education needs to promote non-discrimination and equality (especially gender equality) alongside with the SDGs (Sustainable Development Goals). The key challenges are (i) a lack of practical experiences with democracy and safe space to experience it at an early age (ii) a lack of guidance that would facilitate the process (iii) a lack of trust between politicians and children / young adults. To overcome these challenges civic education has to be put in practice and collaboration with political decision-makers needs to be fostered. This is to make sure that students get to „try out what they read about“ and see the results in order to encourage them to actively participate in democratic processes in the future. Chances and challenges regarding equal participation were identified. Among the challenges were stereotypes and discrimination hindering access to participation. Further barriers to equal participation are the lack of space and/or financial resources: members of society cannot easily partake in participatory processes due to these obstacles. Important to consider are also the effects of unequal roles in societies that particular groups are given and result in exploitation of these groups, particularly of migrants. 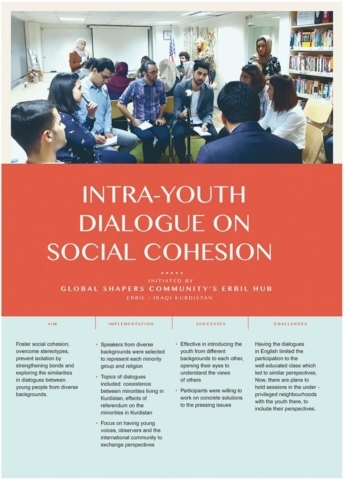 To overcome these challenges and promote equal participation in societies, it seems crucial to collaborate closely with people who enjoy the youth’s trust, such as parents, social workers, and committed teachers. It is important to manage and communicate expectations towards participation well in order to improve access and avoid frustration. Regarding the role of municipalities in bridging the wealth gap, decentralisation was pointed out as a main factor of success. Municipalities often don’t have the authority to direct their financial resources towards tackling wealth gaps. Particularly regarding citizens’ access to public services and infrastructure, municipalities mostly cannot act independently and are often not in the position to direct funds where needed. To overcome these obstacles decentralisation and an increase in autonomy are needed. Another factor is that municipal governments need the political will to work towards these goals. 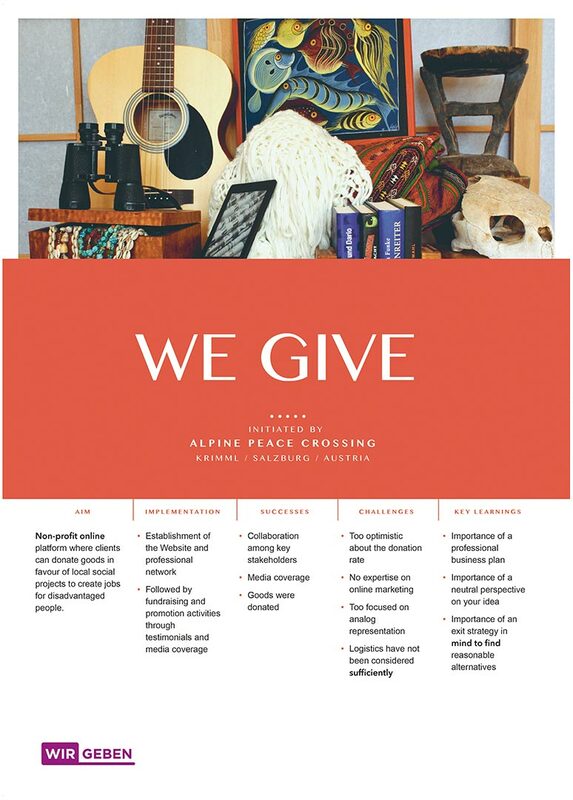 Cultural exchange enhances cultural competences and promotes positive perspectives on diversity. Hence, exchange programmes are a means to facilitate social cohesion and bridge building among groups in societies. 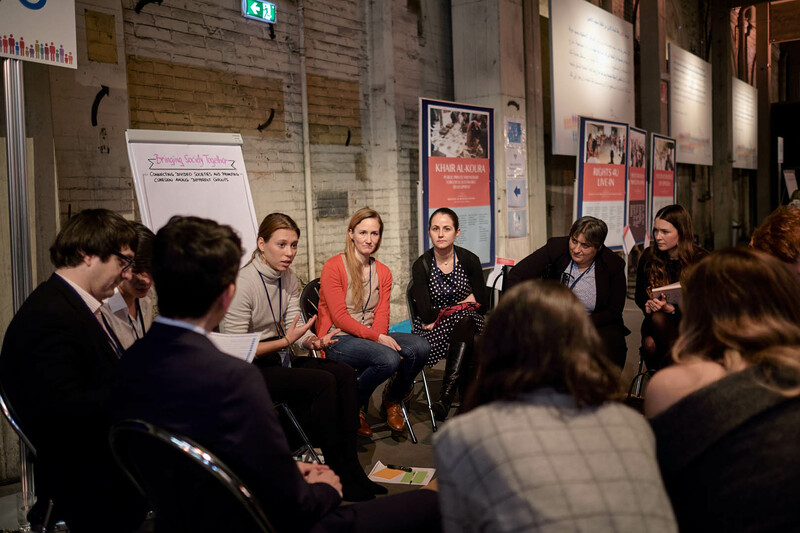 In the World Café session on youth exchange, it was pointed out that these exchanges – which can be too costly for many families – should be made accessible for everyone interested in taking part. The discussion focused on how to increase cultural exchange for the less privileged young people in society also outside of school and university programmes. Empowering people to shape and revive their own communities as well as engaging them in communal activities can be a beneficial factor for social cohesion. For this endeavour to succeed it is necessary that decision-makers have the political will to include and integrate young people in the processes. Establishing participation processes further requires long-term commitment from Mayors and young people as collaboration only works on the basis of mutual trust and commitment. It is therefore necessary to make sure that the decision-makers involved are accountable and that feedback from participants is openly discussed and integrated. Owning our Education was a highly frequented and lively discussion which highlighted one important factor of improving educational settings: to empower and support teachers to upgrade their role to being more than mere transmitters of knowledge. The importance of local initiatives and movements to improve educational facilities was emphasised. Educational initiatives need to be given support and be included in participatory processes of redefining and shaping school curricula. Good news, positive stories and promising practices should be shared to inspire, motivate and promote the discussion on how to improve education. Empowering Change-Makers explored the degree of willingness / unwillingness of decision makers to accept external input and suggestions. As change-makers‘ input has the potential to bring forward innovative approaches and new perspectives to address municipal challenges, their participation in community discussions should be encouraged and supported. 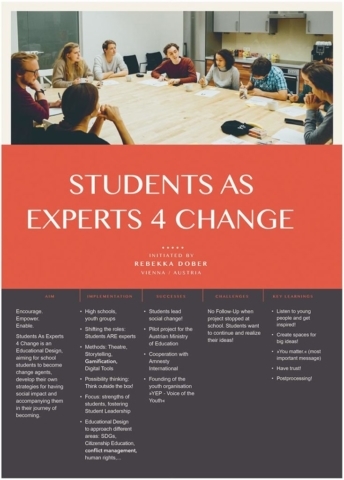 Contexts in which change-makers operate and get the possibility to present and integrate their ideas at the political level vary greatly among countries. The significance of structures that are open, dialogue-friendly and welcoming towards external input has been explored in this context. 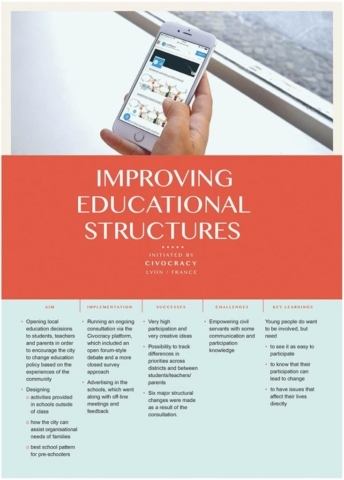 Measures to be implemented in schools, workplaces and communities such as citizen-to-citizen participation and participatory education were highlighted and promoted as ways to move forward this way of thinking. Digital participation and online tools supporting decision-making are considered to be very important means for the future of democracy. Politics and society in many different countries and settings can benefit from more open and more easily accessible participation methods and tools. Challenges in these forms of participation are hate speech, fake news and digital distortion as well as overcoming the digital divide and bridging the gap between digital participation and real-life commitment. To promote digital forms of participation it is essential to ensure accessibility to the respective tools, to show people the impact they can have, and to be transparent about the possibilities of commitment and the expected outcome as well as to improve digital and political literacy. Participation in rural areas happens in a different context than participation in larger communities. In rural areas we find mainly short-time commitment by young people due to their mobility. There also is a cultural and geographical segmentation of youth participation there. A main factor for successful participation is the motivation of young people to be actively engaged in shaping their communities. 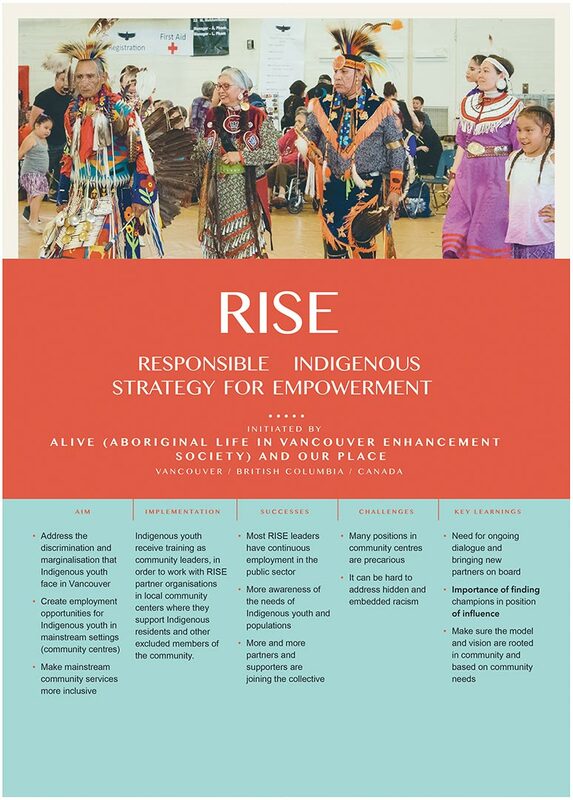 These efforts can be increased through specific, visible outcomes and tangible results. Participation is a step by step process with top-down as well as bottom-up characteristics. The willingness of decision-makers to listen to young people requires the top-down approach for creating structures and effective and easily accessible tools to participation, and it needs the motivation and commitment of young people. The World Café session on fostering creativity and competences of young people discussed the importance as well as challenges of these topics. Promoting creativity and personal competences of young people is beneficial to society as it increases (i) self-expression and self-satisfaction, (ii) broadens the way of thinking and (iii) promotes engagement and in-depth learning of young people. In order to strengthen these educational activities both teachers and students need to be empowered and engaged in the development of these subjects. The only plenary discussion of the Conference brought young people and Mayors together on an equal footing to have a solution-oriented exchange on meaningful ways to „live youth participation“ in municipalities. At the beginning of the debate, hosted by Gabriela Trevisan (University of Minho, Portugal), three young people from Italy, Kosovo and Turkey sat across three Mayors from Lebanon, Greece and Germany. The discussion took place in a fish bowl format, an empty chair in the circle could be taken up spontaneously by anyone from the audience who wanted to contribute to the debate. This discussion highlighted the idea that voices of young people are often not taken seriously and not given the same validity as those of adults, thereby constraining the spaces and forms in which their participation in municipalities could happen. For young people presenting and discussing proposals is sometimes difficult, as it requires them to step out of their comfort zone into arenas of action where they are usually invisible. For adults, on the other hand, it can be difficult to reach some groups of young people who are not committed, interested or motivated to participate; those who are should see it as their responsibility to engage others. Strategies to ensure transparency and opportunities to give feedback should be included in participatory processes. Digital platforms where information can be updated and co-created by young people could be effective. Perhaps the most interesting issue is that both young people and Mayors have a very clear idea of young people not being a homogeneous group and therefore having different needs, requests and aspirations. Taking the diversity of young people into consideration and promoting equal and fair opportunities for participation on the municipal level is the responsibility of all those involved. Preconditions for youth participation differ greatly between municipalities, meaning that different measures to improve youth participation would be suitable to different locations. Take young people seriously – create adequate, comfortable spaces for them to speak up. 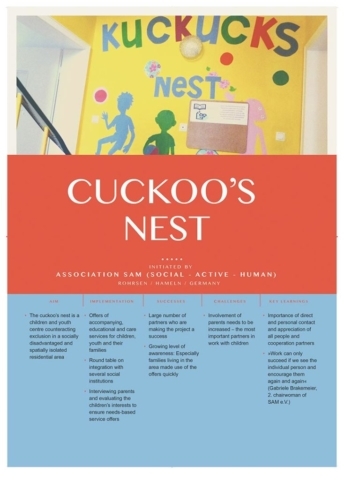 Promote activities in schools and connect them to their neighbourhoods. Use participation strategies with proposals from young people – not just from schools but also from deprived neighbourhoods – and in diverse settings (not all young people attend school or are willing to participate in school settings). Create networks where different institutions (formal and informal) can work together on projects for local municipalities that are meaningful for them. Involve young people in budgeting issues so they can also learn how hard it is to select, prioritise and evaluate necessities of the community. Local municipalities also expect youth to create their own projects and reach out to them, but this is perceived as difficult by many young people, as the paths for simple and straightforward communication are not yet created in most cases. 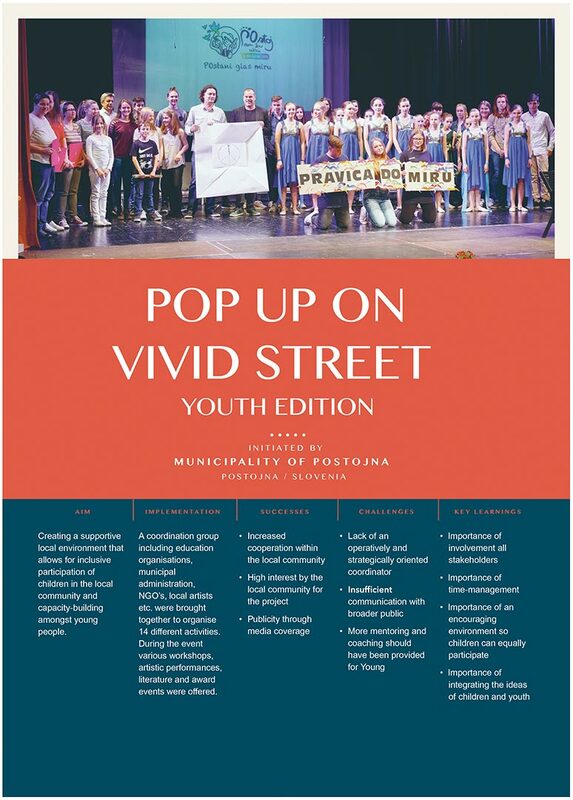 Integrate associations and municipalities in building strategies to provide a space for young people’s voices to emerge in informal ways. Create discussion forums in schools that could be later brought in to the municipality. Place easily accessible boxes for proposals in municipalities – and/or create online platforms. The NOW Working Groups, which were founded during the 3rd NOW Conference in Vienna, build on interdisciplinary exchange across borders between experts, researchers and practitioners from Europe and the MENAT region. At NOW 6, they introduced themselves in the plenary and each one hosted interactive workshops to obtain feedback for their projects or discuss specific topics in their respective fields. The NOW Working Group Education presented their lessons learned from field exposures to several schools and educational programs as well as the refugee camp Zaatari in Jordaan, emphasising their common commitment to identifying promising practices which can be replicated across different contexts, while building on local strengths, and bringing their expertise to a wider audience. In their workshop the group discussed the „Index for Inclusion“, a participatory tool to make schools and other educational settings more inclusive. 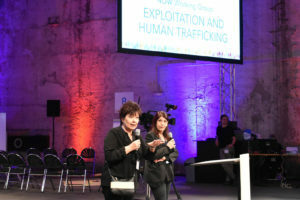 The NOW Working Group Exploitation and Human Trafficking was presented by Shams Asadi and Helga Konrad who talked about their motivation to work in the field and the importance of collaboration between local actors. 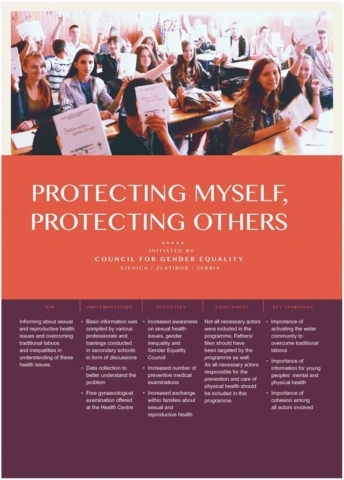 The group hosted two separate workshops – one in English and one in Arabic – presenting their policy paper defining exploitation and human trafficking and explaining the factors making people particularly vulnerable to these human rights violations. With the participants they discussed different ways to act against human trafficking on the municipal level. 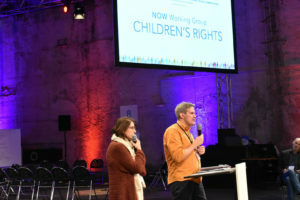 Helmut Sax and Maria Semaan presented the NOW Working Group Children’s Rights and emphasised the gap between existing legislation and conventions regarding the protection of children and their implementation on the ground. It is crucial for them to make children’s voices heard and consider them in decision-making processes. Their workshop revolved around their project that is in the making: Identifying communities together where the group can directly engage with children and youth- through workshops, group discussions and surveys they will give a voice to young people, hear their views on social cohesion and take them into account. 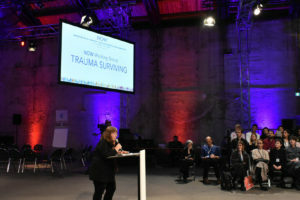 Barbara Preitler spoke on behalf of the NOW Working Group Trauma Surviving. 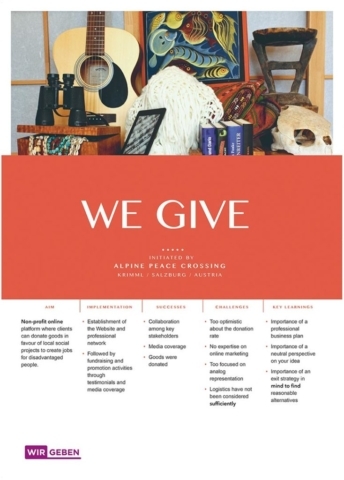 She laid out that the NOW Working Group is dedicated to improving the lives of people that have lived through traumatic experiences and are coping with the wounds caused by those experiences. The presentation introduced the booklet series „Trauma Surviving and Hope“, which was developed as a psycho-educative tool to support teenagers in understanding their trauma-symptoms and how to overcome these. The booklet series is available in several languages and currently encompasses 3 main post-traumatic symptoms: sleeplessness, concentration and avoidance. It will be expanded to up to a series of 10. 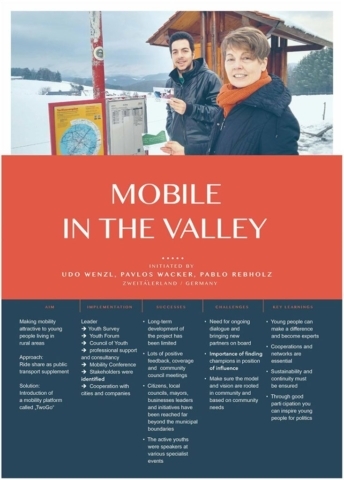 Barbara Preitler also pointed out that the NOW Working Group is looking for partners to promote distribution to make the booklets made available to those in need. 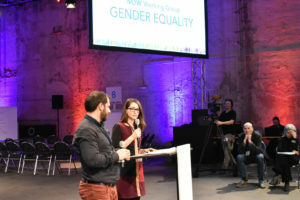 Nergiz Abi and Besnik Leka represented the NOW Working Group Gender Equality, a diverse group of experts from various countries integrating a dynamic, cross-cultural and positive understanding of the concept of gender equality. The speakers explained that they are working with the aim of reducing obstacles to equal opportunities for all genders and are currently developing an easy-access and low-barrier app informing on sexual and reproductive health, rights and responsibilities. The app will be developed including diverse cultural approaches to sexual education and made available in various languages to reach as many people as possible. The Open Space format allowed for open and frank exchange of ideas among experts, Mayors and youth. The purpose was to enable the development of project ideas and offered space, time and material to create an inspiring atmosphere. During these sessions people gathered in various Working Spaces interested fellow participants to jointly develop project ideas. The session resulted in the following 9 project concepts around the topics of social cohesion, promotion of dialogue and youth participation. 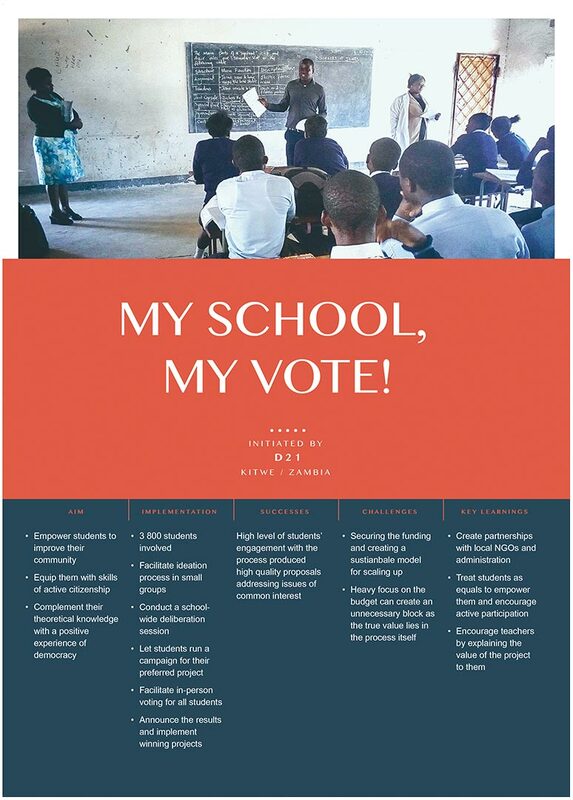 Aim: Create high school councils to promote Youth Participation and connect representatives from Parliament with young people, to address youth problems and find possible solutions. Aim: Establish an organised and structured Youth Council in the Municipality to promote youth representation in the local community. Strengthen the participation of young people in communal decision-making and raise awareness for their issues. Aim: Empower participants of Youth councils and help them to acquire a set of skills and tools to enable them to run small activities and projects in their community. Facilitate transfer of knowledge to other youth groups and promote peer-to-peer education. Aim: Support migrants in Vienna who have recently come to a new country by developing a workshop. The workshop shall be dedicated to “Start into my new life”, give information and help people find their place and way into a new life. Aim: Work on a film project to promote social cohesion through positively portraying the lives of immigrants in their new environment. This project shall inspire and encourage people to actively participate in communities’ activities and bring people together. Aim: Create opportunities for youth participation by setting up impactful online and offline participation processes. Ensure an inclusive education design to allow and support accessible participation processes. 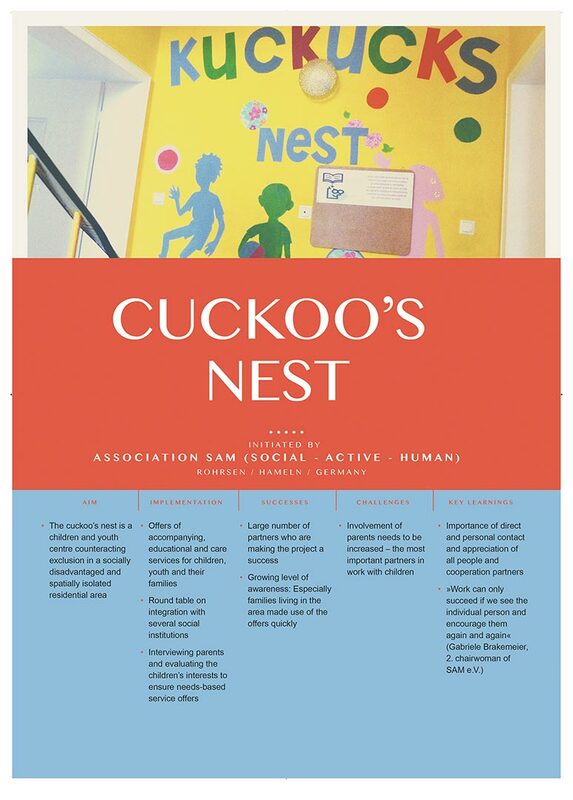 Aim: Promote trust between students and teachers by increasing guidance counsellors and mentor tutors in schools. Make guidance counselling more easily accessible in schools and help students to find counselling when in difficult situations and in need for advice from people of trust. Aim: Establish school referendums so that students can experience real-life participation and decision-making first-hand. The aim is to raise awareness in schools for the importance of political participation. Aim: Promote social cohesion in the neighbourhood through cohesive urban development. 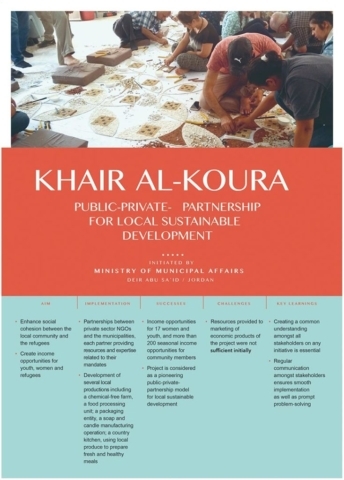 Through the creation of structures and links in the neighbourhood a common culture of collaboration and participation shall be promoted in the municipality. A main objective of the Conference was to encourage participants to develop and start projects contributing to social cohesion and youth participation in their own communities. To empower participants and help them initiate projects, two workshops on project tools and methods took place during the Conference. The workshops were designed and held by representatives of the Peer Educators Network from Kosovo. They gave support in preparing, organising and implementing project ideas of participants at the Conference. The constantly growing dissatisfaction with and the resulting estrangement from politics have negatively impacted the foundations of our representative democracies. The rise of right-wing and right extremist movements poses a threat for our societies and particularly for everyone wishing that a good life of high quality in an open society can be possible and attainable for all. Where human rights are being challenged or violated, where freedom of speech and freedom of the press are curtailed, where the principles of equality and freedom are disregarded, watchfulness and a committed civil society are more important than ever. We have convened in Vienna for the 6th INTERNATIONAL MAYORS‘ CONFERENCE NOW to find out in an atmosphere of openness and equality, of trust and respect, how to secure the participation of young people in the political discourse and as such again strengthen social cohesion. Since young people are largely underrepresented in political decision-making processes, we have extended our space for dialogue accordingly. 60 young people from Europe and the countries in the Middle and Near East have joined us in Vienna. Over three days they have explored new ways and tested new tools with the members of the NOW Mayors‘ Network, with local, regional, and international Mayors, educational experts and representatives of governmental and non-governmental organisations. The world these young people grew up and started to advocate in is often characterised by the cynicism of many actors in power, the selfish interests of international groups, the arrogant ignorance of certain elites. Many in this generation no longer consider it an option to simply look the other way. They cannot simply refuse to accept the inheritance left to them by previous generations. They see less democracy and the erosion of democratic values – the opposite of what they want: Participatory democracy. Today’s young people will have to live with their inheritance. On the other hand: They alone can save the world and they have the energy to embark on this journey. They are our hope. We all cannot tolerate more foul compromises and we cannot do without their contribution in all aspects of society. This is the spirit in which the NOW Conferences have developed. Whereas in the beginning the focus was on refugee movements and the resulting challenges, they evolved into a laboratory for strengthening social cohesion, and now a future-oriented laboratory to improve the living conditions of children, adolescents, and adults. This has turned the Conference into a platform for specific innovation. The young people who have come to Vienna expecting an open ear and dialogue have long understood that they can and must get involved. ‘We are entitled to your attention!’, they say. With their help we could prepare outlines and projects in an intense, participative process in numerous focus groups. We have seen in these past two days that together we could show ourselves to each other and can become visible to others. To prove that we do not only debate but must act as well , that it is wonderful to dream together but we also need to implement, we will be working together on the first 9 projects created in our shared space. We can all be changemakers! In memory of Paweł Adamowicz, the Mayor of Gdansk who built bridges and on 14th January 2019 fell victim to the climate of hate.